Why Would Crown Lengthening Be Necessary? Crown lengthening can usually be done in about an hour or less. Just as with other procedures like dental fillings, the first thing a dentist will do is make sure you’re completely numb and comfortable. Then the gum tissue will be carefully reshaped and stitches will be placed to assist in healing. Also, in addition to being numbed with local anesthesia, some patients opt for a sedation option such as nitrous oxide (“laughing gas”) or oral conscious sedation. Don’t hesitate to talk with your dentist about whether one of these options is right for you – your comfort is a top priority! First 7-10 days – For the initial healing phase, your dentist will recommend or prescribe a painkiller, as well as ice for any swelling. It’s a good idea to eat a fairly soft diet and brush carefully during this time until the stitches are removed in 7-10 days. 10-30 days – You’ll be able to eat and brush more normally at this stage, but will still want to treat the area gently. 30-90 days – Within 3 months, the gums should be 100% healed and the position of your new gumline will be stable. If you’re interested in crown lengthening, the first step is to schedule a consultation so a dentist can evaluate your dental history and ask you about your cosmetic goals. They’ll also diagnose the cause of your gummy smile so they can plan the best treatment for you. Crown lengthening can transform the way your smile looks. 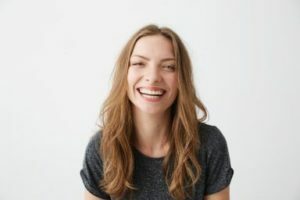 It can be used alone or in conjunction with another procedure such as whitening, but the end result will always be the same – a beautiful smile that you can feel good about! Dr. Jeff Wehrkamp is a general, restorative and cosmetic dentist who loves how dentistry allows him to use both art and science to give his patients the smiles they’ve always wanted. With decades of experience and advanced cosmetic training, he gives his patients outstanding cosmetic results. If you have any additional questions about crown lengthening, he can be contacted via his website or at (605) 582-6522.